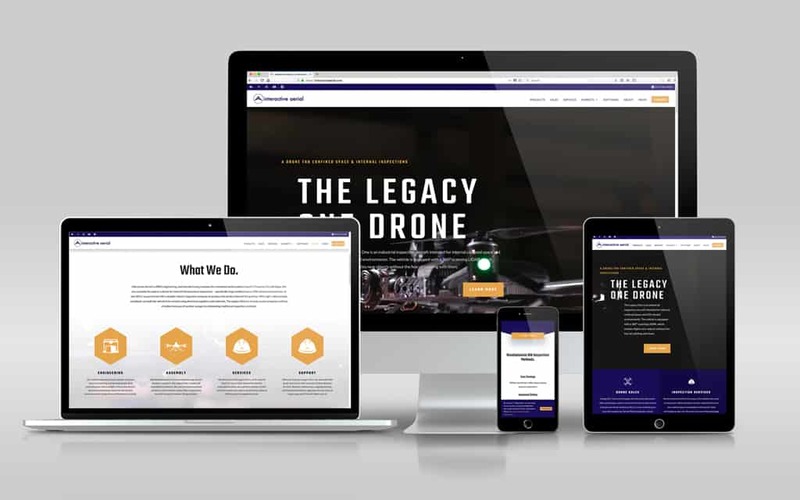 Today we celebrate the launch of Interactive Aerial’s new website! You can check the brand new WordPress website at www.interactiveaerial.com! Clockwork is an amazing company that works with you and for you to design your website. I’m technologically challenged and the staff made this a smooth and efficient process. Clients remark frequently how professional and high quality my website looks. As a business, and I appreciate how secure the website is. I would highly recommend them to anyone that wants the best! We had an awesome time working with Christian and his team at IA! Not only do they sell some really interesting and technologically progressive products and services, but they’re also really engaged with their market and extremely knowledgeable about their clients needs. • It’s fully responsive and looks great on mobile devices–which is crazy important. • It’s equipped with smart tracking and analytics, allowing them to know exactly what’s happening online–while maintaining GDPR compliance. Congratulations Interactive Aerial on the new website and thank you for partnering with Clockwork for your project!